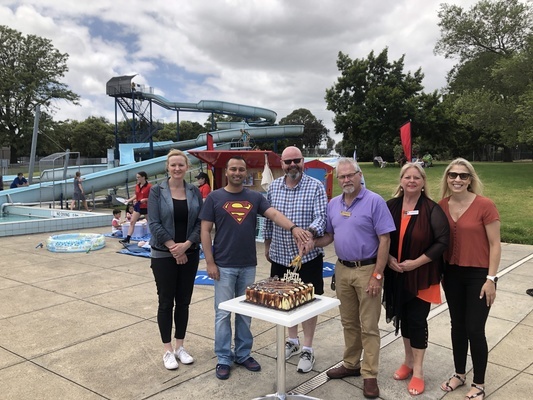 Casey deputy mayor Rosalie Crestani, Cr Damien Rosario, YMCA area manager Barry Harrison, Cr Wayne Smith, mayor Amanda Stapledon and YMCA centre manager Susie Nogic cut the 50th birthday cake at Doveton Pool in the Park. Doveton Pool in the Park has celebrated 50 years with plans to shore up its future. A birthday cake for the centre was cut by Casey mayor Amanda Stapledon, councillors and YMCA centre management during a free-entry day on Saturday 19 January. It featured water inflatables, a DJ, chill out zone, barbecue and waterslides. The council is considering the future of the outdoor pool, which attracts at least 20,000 visitors a year. Councillor Damien Rosario said he and fellow ward councillor Wayne Smith were determined to make the pool “bigger and better”. “There’s a lot of desire to keep the pool open from residents. It’s a great local resource. The council’s draft aquatic facilities strategy, due for release in February, will also help clarify the pool’s future. “Cr Smith and I don’t want to lose the pool. We want it to be bigger and better, and to be a hub for the community. YMCA has been managing the pool on behalf of City of Casey for the past 23 years. It is the base for swimming lessons and school sports for 11,000 children from 30 schools each year. 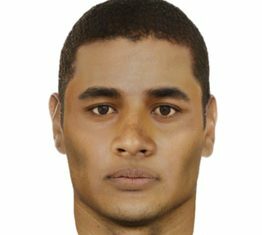 It also supports the Men of Doveton program, and partners with VIC Swim and Lifesaving Victoria. Centre manager Susie Nogic said the pool had become a “thriving community hub for locals learning to swim or cooling down with the family”.